The Institute publishes occasional monographs as well as a semi-annual Bulletin for its members. CIG’s monograph series comprises proceedings of conferences organized by the Institute, as well as other scientific studies of specific aspects of Greece’s heritage. The CIG Bulletin keeps members updated on the latest events in and around the Institute. The Institute has to date published ten monographs. Contact the Assistant Director for further information or to obtain copies of these volumes. The Institute produces a semi-annual Bulletin to keep its membership up-to-date on the latest events at the Institute and activities of its members. 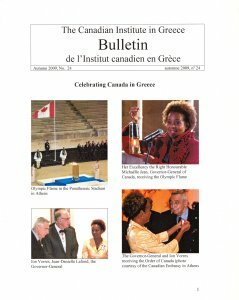 In addition to reports from the Athens staff and the Institute’s financial reports, the Bulletin also includes the latest news on fieldwork carried out under the aegis of CIG, and by its Board members and members at large, activities organized by its Associations of Friends, and articles by its interns and Fellows. 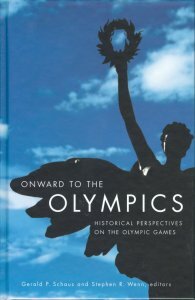 In 2005 the Institute contributed to Athens-based Motibo Publishing’s On Site series. 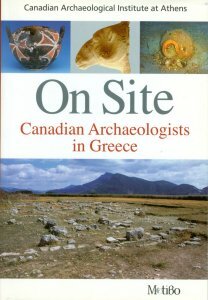 The lavishly-illustrated booklet, Canadian Archaeologists in Greece includes biographies of the earliest Canadian travellers and archaeologists, a discussion of the establishment of the Canadian Institute, and descriptions of the numerous Canadian archaeological fieldwork projects carried out under the Institute’s aegis since 1980.